At the beginning of your new marketing or communications campaign, you may be looking for ways on how to improve your branding. When choosing your method of advertising to increase brand awareness, the options you have are print, television, and online. Print marketing outperforms other forms of marketing, despite the myth that it is outdated and ineffective. Businesses have been able to generate even better results when they use print media in combination with their other media marketing efforts. 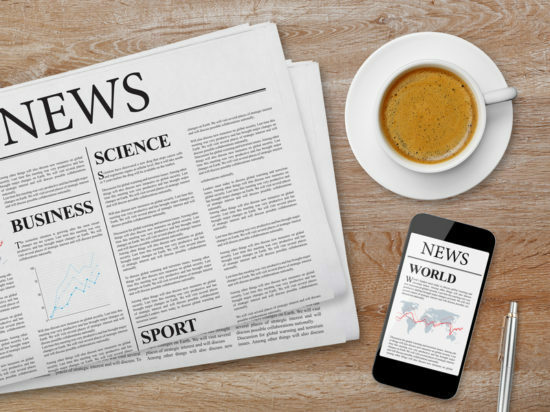 Keep on reading to find out why print media continues to be the leading competitor among other media and a surefire way to improve brand recall value. When people read online they tend to skim through pages to get to the information they want. Because of this, they will miss valuable pieces of information or dismiss the message entirely. When people consume information in print, they take their time to read and are more deliberate as they absorb information. This allows them to understand at a deeper level. Online reading is distracting. Frequent interruptions from notifications, popups, advertisements, social media, and other apps and on-screen features can make it difficult for readers to consume online material. Print materials like newspapers don’t change, blink, or interrupt. These static pages make it easier for readers to follow the content and absorb the information presented to them. Print media allows readers to relax, slow down, and focus. This means print readers can achieve better comprehension and memory retention than those who read the same material on a web site or email. The multisensory experience of touching and manipulating pages or paper while reading builds connections between abstract ideas and the content. This encourages memory retention of the consumed content. When used in combination with another channel such as television or online advertising, print media can help boost your results. By using all three platforms you can achieve even better results, further proving that print is a cornerstone media that gains leads. According to research, online and television campaigns found diminished returns after about four exposures to customers/viewers. Print marketing, however, continues to increase ad awareness at five or more exposures. Brands like Ikea draw their customers in through their print media campaigns, and lead them to make purchases online and in-store. If you want to develop a longstanding campaign, print media is the best platform. Print media is able to form an emotional connection more than any other platform. Print leaves a deeper footprint in the mind because it is more personal. According to a study, the parts of the brain responsible for absorbing and storing visual information were more active when impacted by print media compared to digital media. A study found that the average person uses 21 percent more cognitive effort to process information through digital platforms, than they do with print media. These findings suggest that print materials are literally easier to absorb. Print ads were easier to recall among 75 percent of those in the study, while only 44 percent could recall the same information in a digital ad. Use a variety of print media forms to generate the most response from your prospects. No detail is too small—be consistent with your design, logo, and message in your packaging, slips, letterheads, and invoices. Make sure your production standards reflect your brand. Choose quality images for your campaign. Create content that shows what you are an expert in. Show off your skills and show your reader what you can do to make their life easier. Offer a clear discount to draw them in. Make sure your call to action is clear and informative. Connect your customers to your other channels to increase communication abilities. Regarding all of this research, it’s clear that print media still has a firm place in the marketing world. That’s why so many businesses around the world are combining print with their digital marketing campaigns to effectively and efficiently raise brand awareness. By combining both platforms, brands can target a wider audience to deliver their story. As amazing as print is, it takes experience and creativity to execute an effective campaign. If you need help targeting your audience and helping them recall your brand, we can help. At Macromark, we can help you learn how to improve your marketing strategy by creating print media ads that interest your readers and appeal to their emotions and interests. We can help you stand out from your competitors as you create a seamless connection between your digital and print platforms, which is essential to growing your customer base and getting consumers’ attention. If you want to experience the advantages of a successful print media strategy, the team at Macromark is ready for your call. We offer a variety of services to our clients including print media, direct mail marketing, list brokerage, data solutions, list fulfillment, and list management. For more information about how we can help grow your business, contact us at 1-(845)-230-6300.